Jewels – 17 ruby and sapphire jewels in settings. Olive hole balance jewels. Plates – nickel. Handsomely damaskeened. Gilt lettering. Highly polished and damaskeened visible winding wheels. Dust band. Balance – chamfered and highly polished compensating balance. Meantime screws. 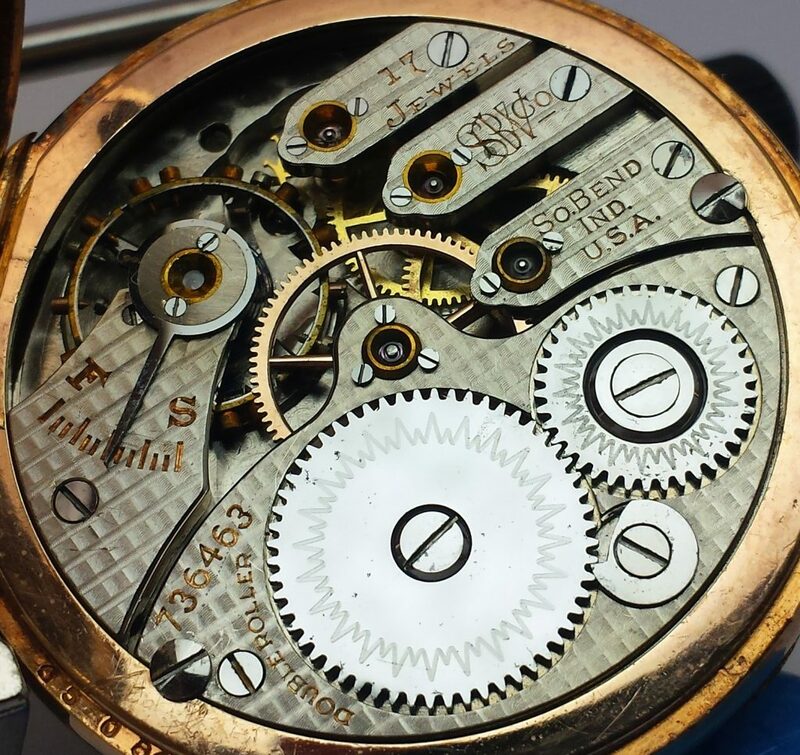 Breguet hair spring. Very closely timed. Dial – single sunk, plain or fancy, glass enamel, ground edge dial. Gold round arm center wheel. A very nicely finished watch in every particular. One that can be depended upon to give accurate timekeeping service. Hunting. Pedant set. First run – 1911, last run – 1912. Total production 4000.